ProMMAnow.com (www.prommanow.com) reporter Anton Skoro recently caught up with former UFC light heavyweight champ “Suga” Rashad Evans (17-2-1) at the inaugural World Series of Fighting event in Las Vegas. Evans also discussed the evolution of the Blackzilians, his own progress working with the team and how excited he is to get back inside the Octagon and showcase his skills. Finally, Evans talked about the Jon Jones vs. Chael Sonnen match-up and how he feels about Sonnen being picked as Jones’ opposing coach on the The Ultimate Fighter. Evans is scheduled to return to action on February 2 against Antonio Rogerio Nogueira at UFC 156. Check out more ProMMAnow.com on-scene interviews from World Series of Fighting. 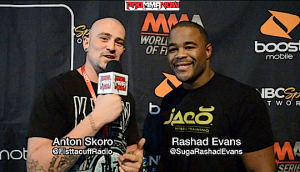 You can keep up with Rashad Evans on Twitter at @SugaRashadEvans, World Series of Fighting at @MMAWorldSeries and Anton Skoro at @FisttacuffRadio. 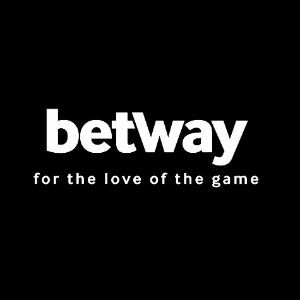 Be sure to subscribe to ProMMAnow.com’s Youtube channel, follow us on Twitter @PROMMA and Like us on Facebook at Facebook.com/ProMMAnow.